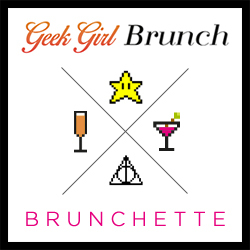 Welcome to another round of "5 Fandom Friday," a writer's-block-busting initiative to build community among geeky female bloggers, spearheaded by The Nerdy Girlie and SuperSpaceChick. I'm a day late, but on target for this week's topic: Comfort Films. Going off Nerdy Girlie's post, "Comfort Films" are movies you keep going back to, over and over. And wouldn't you know it - I taught a layout on this topic, back when I was teaching Book of Me scrapbooking classes. I called it, "Everyday Movies," as in, what movies could you watch every day and never get tired of them? The page featured a cool scrapbooking product that is now no longer available, a Paper Adventures' PageFlipper. It was like a page protector-pocket-flap that you adhered on top of the page protector, to give you extra room for photos or journaling. I used it for extra journaling in this case. I did this layout probably around 2002-2003, so I have some addendums. That was before I discovered "Firefly," so I think I would add "Serenity." I never tire of quoting it. "The Muppet Christmas Carol" - I gave it to David for Christmas in 1993 (on VHS!). I think I didn't include it because we only watch it seasonally, but we watch it every year with the kids after Christmas dinner. A classic. I quote that one a lot, too, year-round. I'm probably forgetting others, but these are a good representation. What flicks would be on your everyday list? Leave me a comment below with your list! 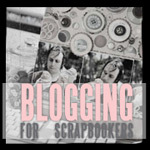 Prompt #12 of Shimelle's Blogging for Scrapbookers class suggests we create a new blog post category called something like "I will scrapbook this". Because I like alliteration, I came up with (and created) a category for "Scrapbook Someday". As in, "someday I will find/make the time to scrapbook, and when that day comes, I will scrapbook about this topic". I had actually recently started a list for just this purpose - with real pen and paper, no less. But I do like Shimelle's idea of blogging the list and/or individual topics, too. Creating a list of layout topics really helps me be more productive at crops - not only is there less thinking involved at layout-creation time, but I can also track my way through an album-project, and make sure I don't leave anything out. Plus I also like the satisfaction of crossing out or checking off (depending on my mood on any given day). Shimelle's prompt actually encouraged using individual blog posts as a sort of 'placeholder' for the elements of an actual scrapbook page, when one doesn't have the time to actually scrap. But I thought I'd use this post as a sort of 'brain dump' of pages and projects that are on my mind, and that I'd like to Scrapbook Someday. As time goes along, I may create posts for individual projects (see my previous post, Cultural Education for Kids, for example), but the list idea is working for me today. High School Debate layout(s) - I'd love for this to be a full album, showing the chronology like the Boy Scout album, but don't think that many pictures will find their way to me. 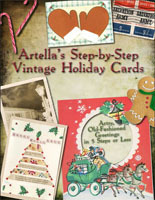 Do you have any scrapbooking/memory-preservation goals or plans? Feel free to link to a similar list on your own blog in the comments!